To receive email, you can use SendGrid’s inbound Parse Webhook. This will POST new emails to any URL you specify. 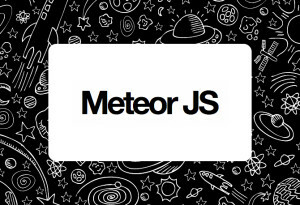 Since we want to receive email with Meteor, we need to add a Meteor route. In this case I’m looking at the subject of the email and using that value to update the database. To make this work in your application, log in to your SendGrid account and point the Parse Webhook to /inbound on your Meteor app. You can test webhooks locally with ngrok, or put it up on your own server. To showcase the real-time aspect of Meteor, I made an application that lets you change the background color of the page. 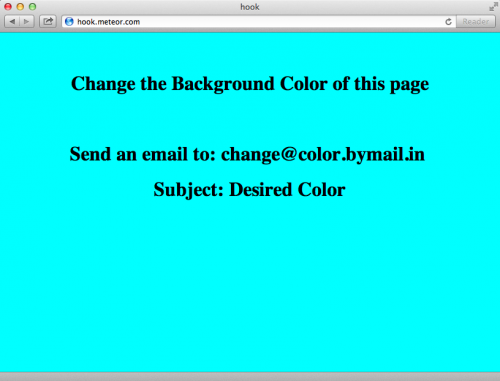 Send an email to change@color.bymail.in and in the subject put the color you want. The source code for the sample app is available on GitHub and for more details on the feature behind this tool, download the Parse Webhook Guide.